In honor of the RoboCop reboot hitting movie theaters today, I feel it’s only appropriate to reminisce about one of wrestling’s greatest moments. Ok, I’m joking. People hated it and its widely considered the most preposterous publicity stunt in the history of wrestling. As a nine-year-old kid who thought wrestling was real, I loved it. 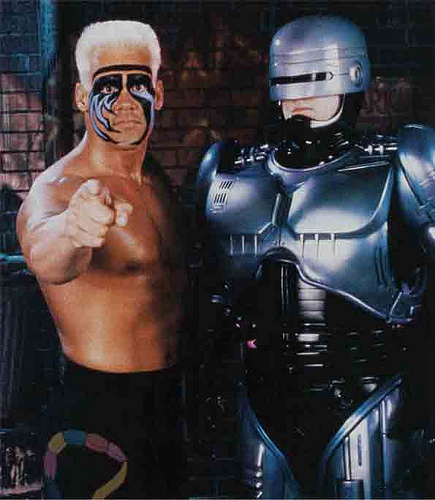 My imagination ran wild with possibilities as the cybernetic law enforcement officer found a new partner in a man called Sting. 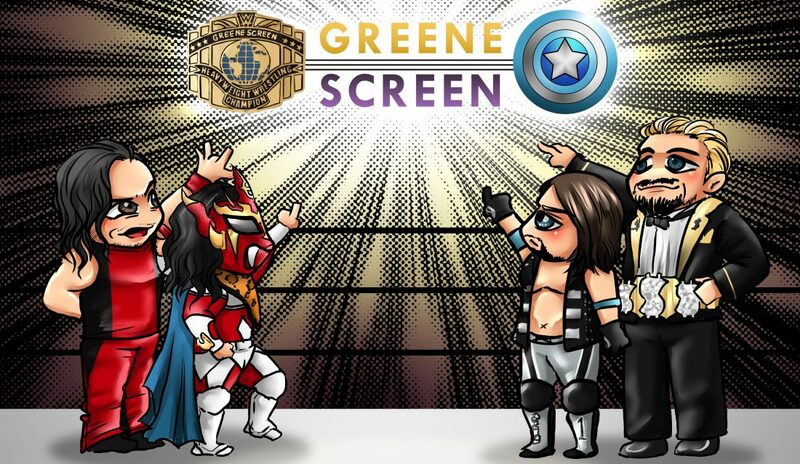 Wrestling and movies joining forces for promotional gain was nothing new. However, World Championship Wrestling took it to a whole new level in 1990. Sting, WCW’s knight in shining armor, was coming back from a severe knee injury at the hands of Ric Flair and The Four Horsemen. Capital Combat in our nation’s capital was set to see Flair defend the heavyweight title against Lex Luger, Sting’s best friend. Flair made it known that they were going to re-injure Sting if he showed his face. Sting decided to even the odds and enlisted the services of RoboCop. The Return of RoboCop had a massive build-up going into the pay-per-view. In fact, it was built up so much that you forgot there was a world title main event. Not to be outdone, The Horsemen had a plan of their own. Now, here is where nine-year-old me went off the deep end. When Ole Anderson bragged about having a surprise for their robotic menace, I thought for sure he was bringing out the 10’0” enforcement droid ED 209. Instead, they enlisted the services of the 6’9 Sid Vicious who vowed to “crush” RoboCop. I thought this was horrible booking on Ole’s part because Robo could simply shoot Sid and the rest of the Horsemen if they got out of line. Yep, that was my logical conclusion. Sting was blindsided by the Horsemen on his way to the ring and was locked in a cage left over from the previous match involving Jim Cornette. RoboCop came to Sting’s aid in slow motion, bent the ridiculously fake bars and ripped the door from its hinges. Sting jumped out of the cage ready to fight and The Four Horseman cowered away. It was quite the sight to see Arn Anderson, one of the most revered wrestlers within the industry, selling for RoboCop. This was all done to promote the RoboCop 2 film which was released on June 22, 1990. Now that I think about it, I’m surprised Vince McMahon didn’t try something like this. No, the Zeus tie-in with No Holds Barred a year earlier doesn’t count. I’m talking about a major blockbuster movie crossover. Teenage Mutant Ninja Turtles hit the silver screen in 1990. Imagine Michelangelo teaming with Hulk Hogan to take on Earthquake and Shredder and a Cowabunga Street Fight? Box office gold my friends, box office gold. Geez, I’m glad I don’t book this stuff in real life…………wait a minute.